The first two articles in this series introduced analytics-driven embedded systems and described data access, data pre-processing, and types of predictive algorithms for these systems (Part 1 can be found here and Part 2 can be found here). In this final article, let’s look at how to implement the analytics and integrate them in production and embedded systems. 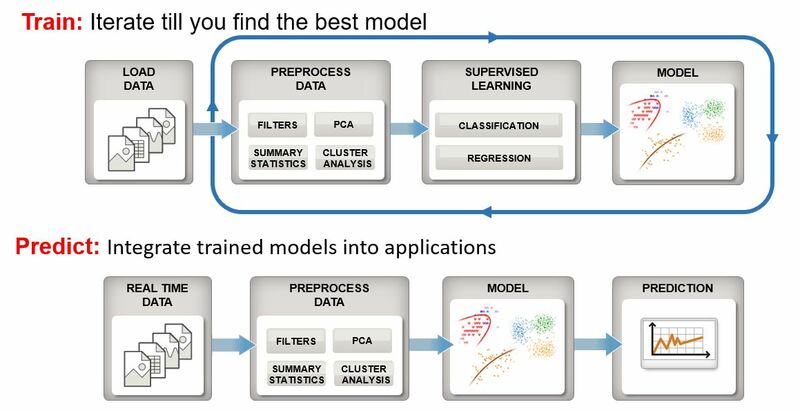 Figure 1 shows the workflows in which data are accessed and preprocessed and algorithms are selected. In the training workflow, you use stored data to develop pre-processing code and machine learning to develop a trained model. In the prediction workflow, the same pre-processing code and the trained model are applied to live data to perform real-time analytics. 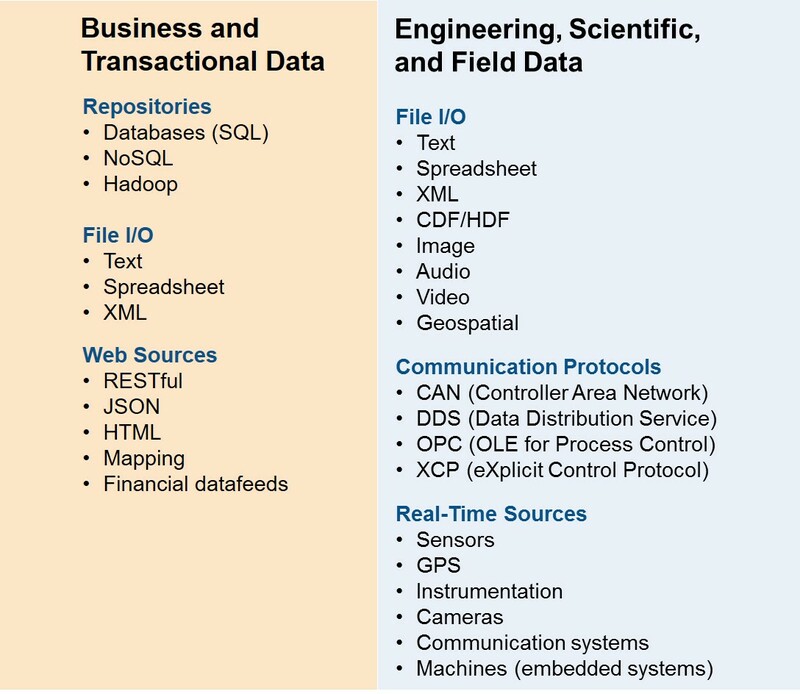 This workflow can be used to combine engineering, scientific, and field data with business and transactional data (see Figure 2 for examples of data sources for each type). This allows the creation of sophisticated analytics to develop smarter systems. Combining sensor-generated data with other real-time sources and historical data is the power behind the Internet of Things (IoT), the machine-to-machine (M2M) coordination of Industry 4.0, and the automotive trend towards a connected and autonomous vehicle. In some system implementations, such as the one developed by BuildingIQ, analytics are performed in enterprise IT systems to improve embedded system performance. The analytics can be automatically generated as deployable components compatible with IT development environments such as Java, Microsoft .NET, Excel, and C/C++, enabling them to be integrated – without recoding – into web, database, desktop, and scalable enterprise applications running on-premise or in a private or public cloud. 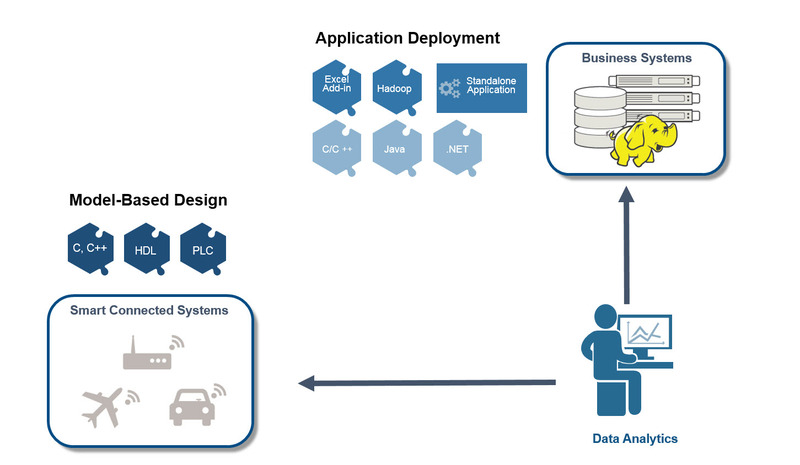 Figure 3 also shows a path where data reduction, sensor fusion, or predictive analytics can be integrated to run directly on the embedded systems in smart connected systems. The Scania emergency braking system (described in part 1 of this series) is a good example of this. The accelerating IoT trend towards smarter and more connected sensors is adding pressure to move more processing and analytics as close to the sensors as possible. This has the benefit of shrinking the amount of data that is transferred over the network, which reduces the cost of transmission and can reduce the power consumption of wireless devices. For embedded system designers, it’s important to consider not only algorithm performance, but also the overall system robustness, reliability, and cost of the architecture and design. To do this, a model-based design approach can be used to simulate the system, automatically generate embedded code, and continuously test and verify the analytics being integrated into the embedded system. An example of this is the innovation in using Big Data and analytics to make our cars smarter. Automotive OEMs are collecting enormous amounts of data from real-world driving situations (think millions of miles of driving), recording data such as engine performance, video, radar, and other signals. This data is used to generate important metrics such as fuel economy and performance at the fleet level. Engineering teams are also using this real-world data to design, develop, and test new types of automotive systems, such as advanced driver assistance systems (ADAS). By combining data analytics and model-based design workflows, ADAS engineers are able to refine algorithms using large test sets with ground truth labeling, perform rigorous simulation and validation, and then automatically generate code of the validated algorithms for automotive embedded systems. Analytics-driven embedded systems are here. The ability to create analytics that process massive amounts of business and engineering data is enabling design engineers in many industries to develop smarter products and services. They can use analytics to describe and predict a system’s behavior, and further combine analytics with embedded control systems to automate actions and decisions. Designing IoT products just got a lot easier.